Our mission is to draw our inspiration from the principles of honesty, integrity and sincerity of service. Using these powerful principles and a passion to grow our care, skill and knowledge, we hope to benefit all patients so that they may live happy and joyous lives. We are grateful for those who share our dreams and visions and who trust and believe in us. We will honor your trust with service from our hearts and the integrity you deserve. We are always excited about meeting new patients and are pleased to extend an invitation for you to join us as partners in a process of dental co-discovery. Together we can learn about each others values, needs, concerns and desires. We feel this familiarity facilitates communication and understanding. It has been our experience that we will benefit greatly by applying this knowledge while planning something as personal as your dental well-being. Our practice is dedicated to respecting every individual’s objectives and circumstances as unique. This value is reflected in our caring for you as we would hope to be cared for. 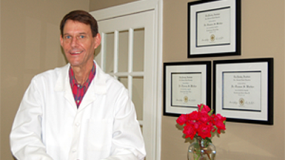 The treatment we offer is comprehensive while being tailored specifically for each patient. 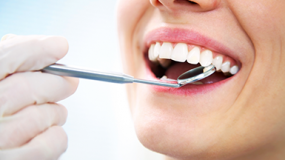 It ranges from meeting basic dental needs to extensive cosmetic, restorative, periodontal and TMJ therapies, as well as other options that may be appropriate for your situation. When it is necessary, we will refer you to a highly skilled and trusted specialist. It is always our goal that the teeth, gums, bone, muscles and TMJ – the entire dental system – perform in harmony, as we understand one part affects all others. 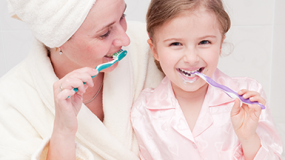 The result is a balance of dental health, beauty, comfort and function. Please read further as we feel you will find the content both interesting and enlightening. As always, feel free to call us anytime if you have questions or comments. Thank you for the opportunity to share our thoughts with you. We hope you will contact us to learn more about our practice and we can learn how we may serve you best. At Distinctive Dental Solutions we utilize the ideas that the Nautilus has symbolized for centuries – individuality, inquiry, innovation and adaptation, and symmetry and balance. The best arrangement of these concepts is expressed in our goals of natural health, beauty, comfort and function.